Dhaka North City Corporation (DNCC) on Wednesday laid foundation of a foot overbridge on Pragati Sarani, where a student of Bangladesh University of Professionals (BUP) was killed in a road crash on Tuesday. Inaugurating the foot-over bridge, DNCC Mayor Atiqul Islam said that the overbridge will be named after Abrar Ahmed Chowdhury, who was killed on Tuesday in the road accident. Mayor Atiqul Islam inaugurated the overbridge around 11:30am. 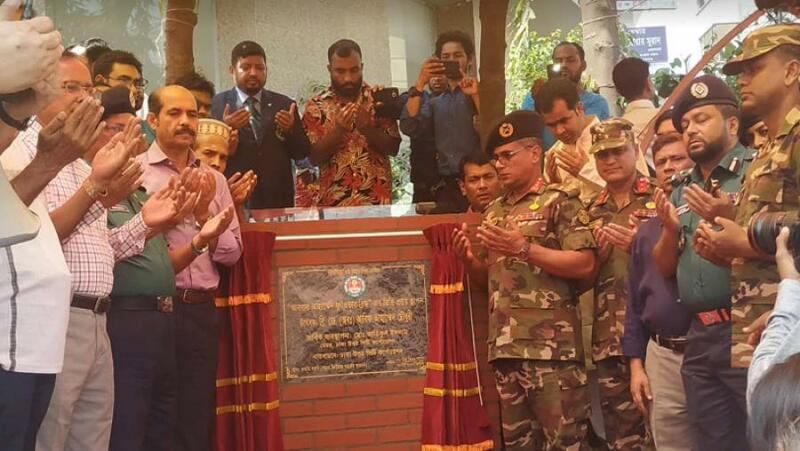 Dhaka Metropolitan Police (DMP) Commissioner Asaduzzaman Mia, vice chancellor of Bangladesh University of Professionals (BUP) and other high officials were also present during the inaugural programme.